Home Downsizing | How Auction Can Help | Skinner Inc. Selling at auction is streamlined and practical solution for dealing with the variety of items typically seen when downsizing. An auction house can handle everything from the Steinway piano in the living room to a collection of French paperweights or family jewelry. In fact, most households have some items that are good candidates for auction. If you think your property may be suitable for sale at auction, contact an auction house to have your household items viewed by an appraiser. For many, it’s hard to say goodbye to personal items they’ve lovingly collected over the years. Collectors often wish their cherished pieces would remain in the family. But taste isn’t necessarily inherited . . . parents’ treasure may not suit childrens’ aesthetic. Even if next generation appreciates a collection, they might not have the resources to take care of it. When collections or property can’t be passed along to kin, auction is an excellent option. 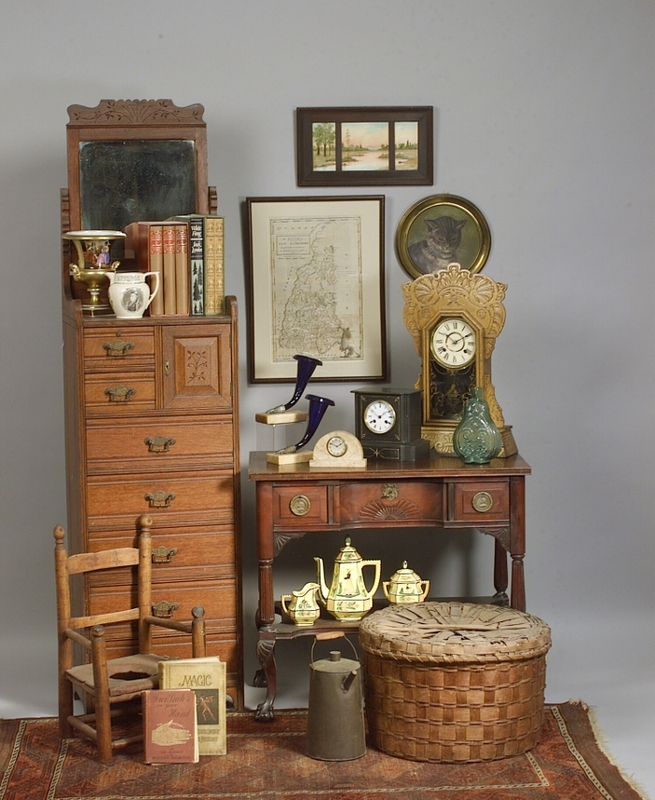 An expert appraiser knows what collectors are seeking and can help guide you in choosing which items to bring to auction. And if an appraiser has the opinion that a particular item will not perform well at auction, they will let you know and offer advice on what other options are available for disposing of it. Finally, auction is the answer for those who simply want to know that they are getting a fair price for their items. When objects go on the block, they are presented at public auction – really in a public marketplace – to a world of bidders who vie for the chance to own them. The process is transparent and competition among buyers drives the prices at auction. This provides assurance to sellers that they are realizing the best prices for their objects. If you sell your property outright to one buyer, you don’t always have that assurance. A full-service auction house has the resources – appraisers, cataloguers, marketers, and logistics specialists – to present and market your material effectively. To get the process started, an appraiser can be scheduled to come to your home within a few weeks, and your property can be scheduled for pick-up shortly thereafter. For more information on how the auction process works, read about Consigning Property to Auction. This entry was posted in Blog and tagged appraiser, Art & Antiques, auction house, auction houses, Consignment FAQ, Downsizing a home, expert appraisers, home downsizing, Karen Keane by Karen Keane. Bookmark the permalink. I AM SOON PLANNING TO DOWNSIZE MY HOUSE AND MOST INTERIOR FURNITURE ..I DO HAVE A LOT OF ANTIQUES IN THE WAY OF LAMPS,SOME FURNITURE AND A LOT OF FLO BLUE CHINA AND OTHER ITEMS THAT I WILL NEED TO SELL. I NEED TO FIND OUT THE BEST WAY FOR ME TO DO THIS. Please contact our Appraisal Services team at 508-970-3299 to discuss the antiques in your home and the consignment process at Skinner.